Riau is an Indonesian province that includes the major area of East Sumatra. The inhabitants of Riau are part of the Malay ethnic group, and this is the source area of the Indonesian Malay-based national language. The first Malaysian grammar book, the Bustanul Katibin was also released there in 1857. Pekanbaru became the capital city of the province in 1959, taking over this role from Tanjung Pinang on the Island of Bintan. 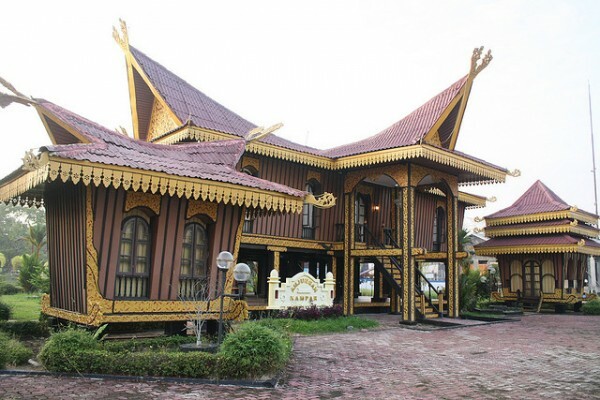 If you travel about 160 km along the Siak River you will find more typical, traditional-style house in the cites and in the surrounding area including Balai Dang Merdu, Balai Adat and the Taman Budaya Riau (Riau National Park). 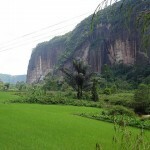 These are some beautiful tourist attractions in Riau. 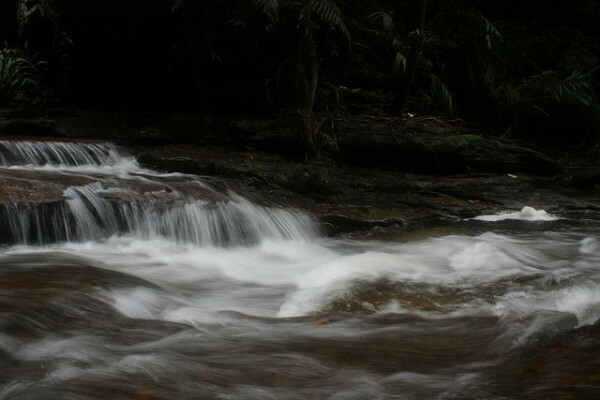 The Kerumutan Nature Reserve is situated in the Kuala Kampar district. The trip from Pekanbaru to the 120,000-acre nature reserve takes 18 hours by Motor boat. Bono is a strange natural phenomenon, which can be seen on the Rokan River in the Kampar district every day. It is a very interesting tourist attraction. At the beginnig of the tide a swelling is formed at the mouth of the river in the water. The mass of the water in growing accompanied with a rumbling noise until the height of a small tree is reached, and whirling moving up on the river. Over the time starts to become smaller and smaller until it eventually disappears. Duma was previously a small fishing village on the east coast, today is a huge oil terminal. Containers and other modern buildings are rising everywhere, but the village remained a pleasant and interesting place. In the Park of the Siak Sultanate you can see the Moorish palace of Syarif Hasyim Abdul Jalil Syarifuddin sultane that was built in 1889. The museum and the power symbols and other objects of historic importance can be seen in the museum lying at 120 km from Pekanbaru on the river. 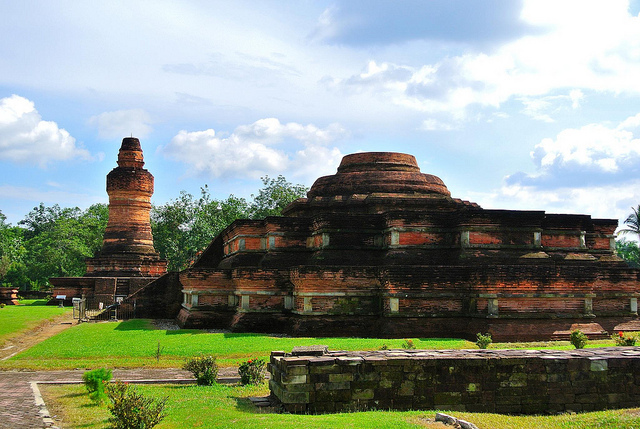 The Muara Takus temple is a stupa made from red brick and sand as the other similar buildings in Sumatra. You will find this tourist attraction in the village of Muara Takus in the Tigabelas Koto district. 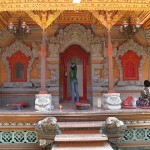 It was built probably back in the 9th century in the glourious time of the the South Sumatran Sriwijaya Empire. Excavations are still ongoing in the area to determine the exact age of the stupa and its functional purpuse. 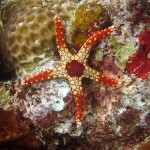 You will find it at a distance of 118 km from Pekanbaru.